Social benefit is the total benefit to society from producing or consuming a good/service. Social benefit includes all the private benefits plus any external benefits of production/consumption. If a good has significant external benefits, then the social benefit will be greater than the private benefit. Ability to avoid congestion, and quicker journey to the worker. Better health may lead to lower health care costs. 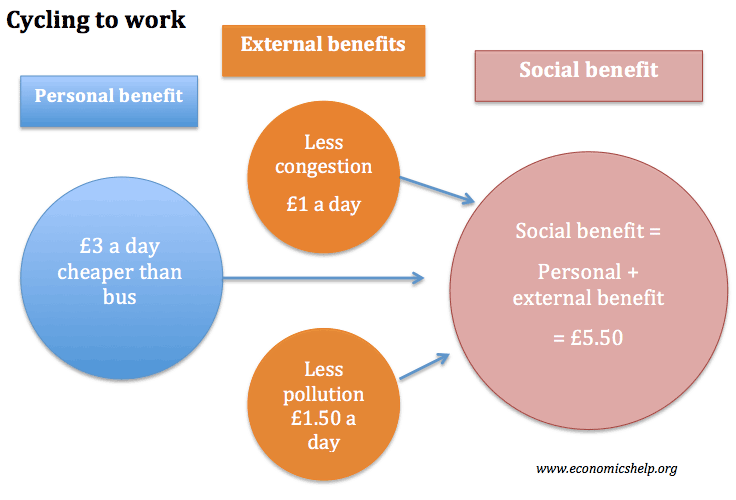 Therefore, in this case, the social benefit of cycling may be greater than private benefit. The marginal social benefit, is the total benefit to society, from one extra unit of a good. 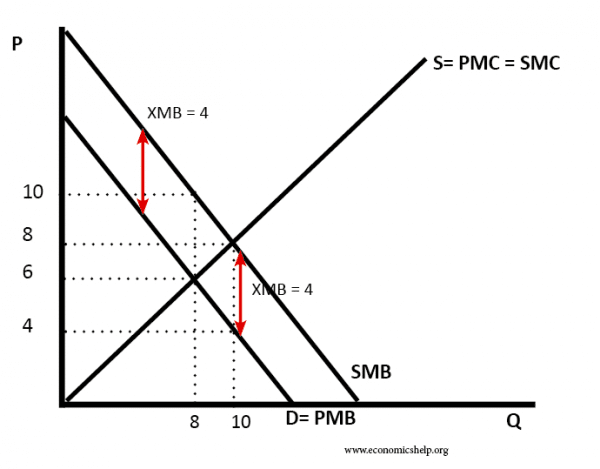 With external benefits (XMB) the social benefit (SMB) is greater than the private benefit. If goods have a social benefit much greater than private benefit, they are likely to be under-consumed in a free market. People don’t take into account the full social benefit – only their private benefit. This leads to market failure. However, in theory, the government can subsidise these goods so that the full social benefit is taken into consideration.